Reports of Toshiba abandoning HD DVD and the almost-certain demise of the high-definition format have been coming thick and fast since late last week, but it's still unclear how much truth there is to them. When we spoke to a Toshiba representative at the firm's Tokyo HQ this morning we received the expected denial. Yuko Sugahara simply said, "Although Toshiba is currently assessing its business strategies, no decision has been made at this moment." In other words, it's neither confirmation nor denial - simply an admission that something's afoot and that we'll hear more before too long. As to what that decision might be, speculation that Toshiba is dumping HD DVD entirely isn't necessarily correct. The company has three options. It can take the most likely course of complete withdrawal; it can drop HD DVD recorders and continue to sell the much-cheaper players; or it can work on consolidating sales in Europe, where HD DVD has done far better than in the rest of the world. The latest round of speculation seems to have been triggered by the decision taken on Friday by Wal-Mart in the US to stop selling HD DVD movies in favour of Blu-ray titles. However, the news isn't all bad for Toshiba - the Tokyo stock market responded favourably to the quick move to handle the HD DVD situation by pushing Toshiba stock up by 6 per cent in early trading there. 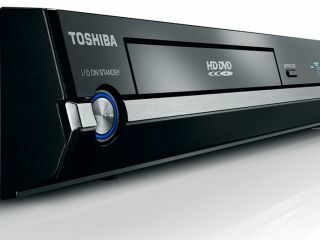 If it does withdraw from HD DVD, Toshiba stands to save around £150 million that it would have spent on promoting the format this year.